The world faces an environmental crisis unprecedented in human history. Carbon dioxide levels have reached heights not seen for three million years, and the greatest mass extinction since the time of the dinosaurs appears to be underway. Such far-reaching changes suggest something remarkable: the beginning of a new geological epoch. It has been called the Anthropocene. 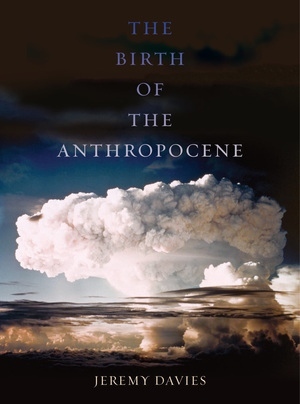 The Birth of the Anthropocene shows how this epochal transformation puts the deep history of the planet at the heart of contemporary environmental politics. By opening a window onto geological time, the idea of the Anthropocene changes our understanding of present-day environmental destruction and injustice. Linking new developments in earth science to the insights of world historians, Jeremy Davies shows that as the Anthropocene epoch begins, politics and geology have become inextricably entwined. Jeremy Davies teaches in the School of English at the University of Leeds.